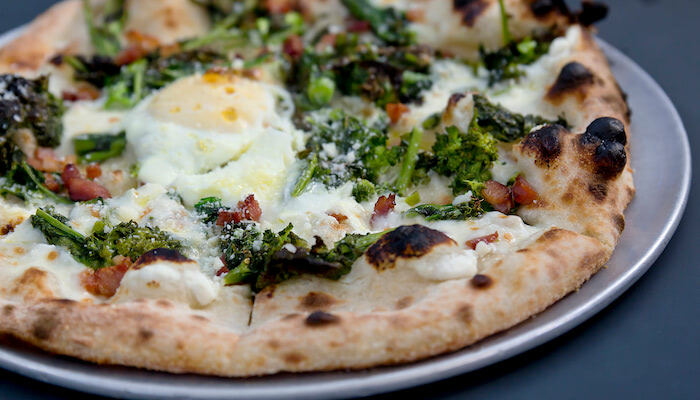 Food quality and consistency is a top priority for pizza restaurant and commercial kitchen operators, especially those with several locations or large volumes to manage. 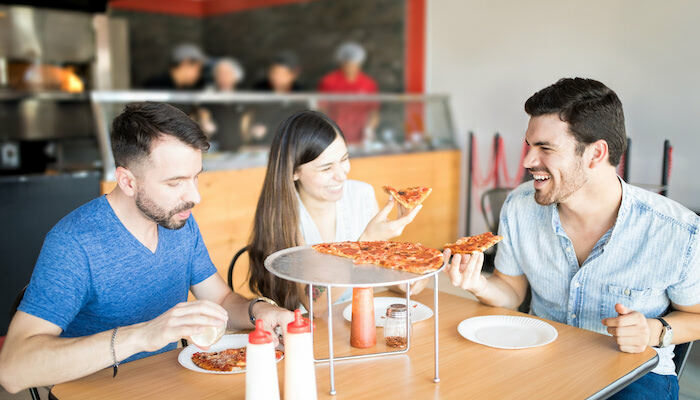 Par-baked crusts, like those from Alive & Kickin’ Pizza Crust, are the preferred solution among operators since they offer uniformity, easy prep and delicious variety. Interestingly, the loyalty operators have to par-baked pizza crusts doesn’t always extend to a comparable product — pre-made dough balls. While pre-made pizza dough balls offer conveniences similar to par-baked crusts, and even provide innovative ways to expand menus with non-pizza items, they are sometimes perceived as difficult to manage and prepare. Some operators assume that any time saved by using pre-made dough balls instead of scratch-made dough is considered “lost” during proofing and having to bring the back-of-the-house team up to speed on proper usage. When tasks like making dough can be accomplished in-house, the convenience of pre-mixed, pre-portioned dough balls may be looked upon as an expensive and unnecessary luxury. Using pre-made dough balls actually help you scale back costs by eliminating the expense and maintenance of commercial grade equipment and minimizing bulk ingredient inventory and required storage space. Further, it could reduce insurance premiums because of the lowered liability risk — employees are less exposed to the potential injury-inducing dangers of machinery or heavy-lifting mishaps. Compared to par-baked crusts, the multiple steps needed to ready pre-made dough balls for use can seem difficult and maybe even a bit overwhelming for the back of the house team. Separating proofing time from preparation time brings the convenience of pre-made dough balls into perspective. A properly proofed dough ball need only sit at room temperature for about an hour before it’s ready to roll out. You might also choose to hand-stretch pre-made dough balls in a few easy steps. Operators used to controlling the recipe and process of scratch-making dough may be skeptical of the level of care taken by a supplier when producing pre-made dough balls. Preferred pizza dough ball and crust suppliers stake their reputations on quality. Alive & Kickin’ Pizza Crust pre-made dough balls are made with premium ingredients, meet clean label specifications and are frozen immediately to maintain maximum freshness for up to 180 days. 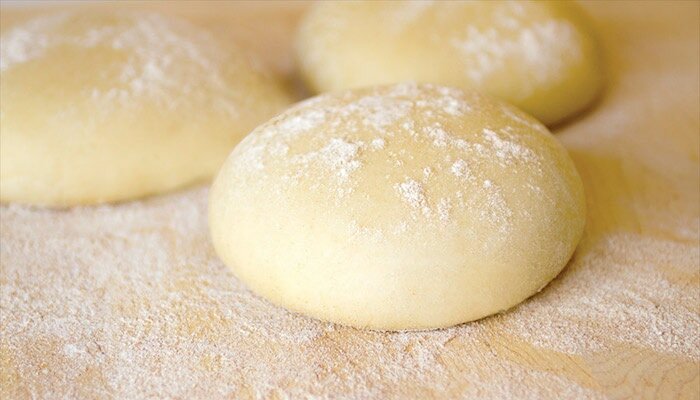 Since there is no deviation in method, standards or environmental conditions, operators can confidently use pre-made dough balls knowing that consistency and quality meet — or easily exceed — scratch-made dough. Convenience and variety make par-baked crusts the standard go-to for many operators, generally to the exclusion of other pre-made products. Using both par-baked crusts and pre-made dough balls expands opportunities to deliver on customer expectations for the perfect pizza, be it deep dish, thin and crispy or somewhere in-between. Par-baked crusts fit the bill deliciously for thin pies and take and bake options that are baked off at home. However, pre-made dough balls are second to none for thick and chewy New York style, Neapolitan or custom hand-tossed pizzas. 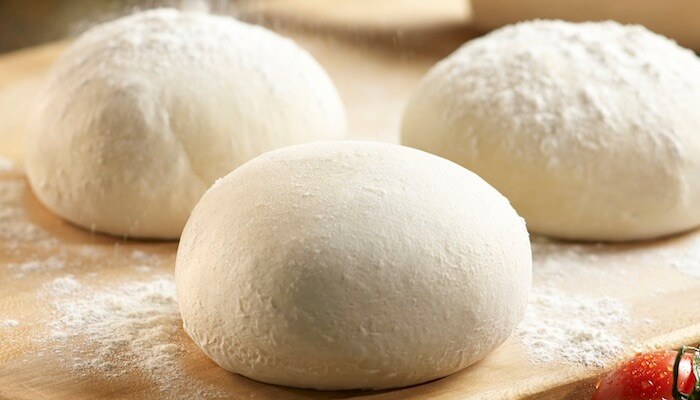 Learn more about the convenience and benefits of pre-made dough balls, check out our quick reference guide, How to Achieve Perfectly Proofed Pizza Dough. Click the button below to access your copy now!